Strawberryluna- Joining Workerbird in the Holiday Market Downtown in the Holiday Market is Strawberryluna. Strawberryluna specializes in screen printed gifts and art. Some depict Steel City life and some are just quirky and fun. (Personal favorite is the Black Cat Lucky 13 Print) For information visit http://www.strawberryluna.com/. Papyrusaurus- Paper can make beautiful art and fun gifts. Everything from ornaments and prints to jewelry made from old dictionaries, these unique gifts are perfect for anyone. For more information visit http://papyrusaurus.com. Garbella- Known best around the region for the screen printing gifts that include baby onesies, totebags and tea towels depicting fun Pittsburgh things like Pierogies. For more information visit http://www.garbella.net. 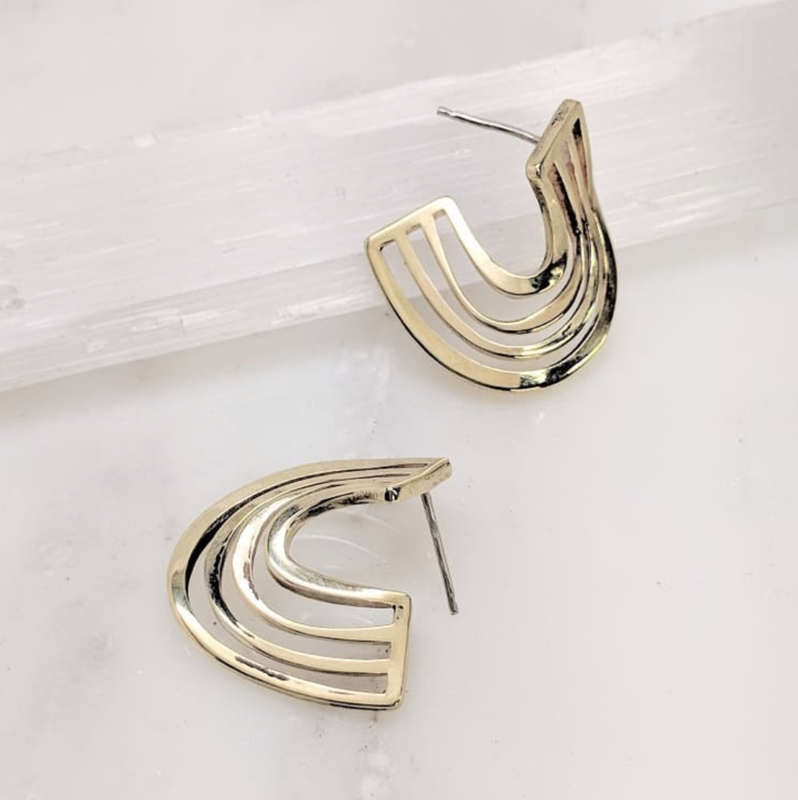 Frost Finery- Founded by Melissa Frost, Frost Finery combines handmade with high tech fabrication of jewelry and a home collection. Personal favorite is the Pittsburgh Collection. For more information visit http://frostfinery.com. Puzzle Pax- Have a beer lover on your list? Try Puzzle Pax. These handmade six-pack holders are a fun puzzle to put together and then can be carried to your favorite brewery to fill. Puzzle Pax also carry apparel and bottle openers. For more information visit https://www.puzzlepaxusa.com. 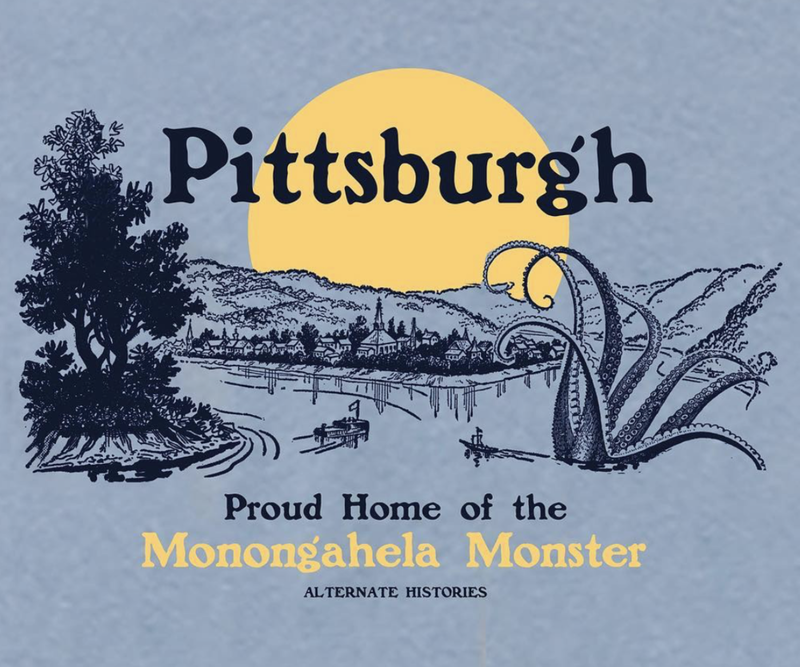 Alternate Histories- What would it look like if Pittsburgh was attacked by a Godzilla? Well those are the exact prints that Alternate Histories creates. If you have a history buff on your list this is a great gift. There is also a 2019 Calendar and a new book titled “Pittsburgh in Olden Time” For more information visit https://alternatehistories.com. Love this piece? Need to shop for some local spirits? Visit our piece on Local Distilleries and Wine.